At 12:00 CET, a delegation from last year’s host city Copenhagen will symbolically hand over a key ring to the Viennese mayor Michael Häupl in order to officially kick off Vienna’s Eurovision year. 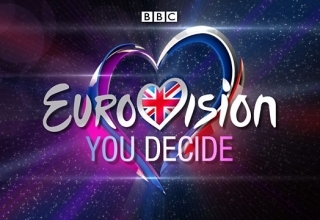 Afterwards, at 13:25 CET, things will get exciting for ESC fans: On the premises of the town hall it will be determined which country will perform in which semi final – as well as their allocation to the first or second half of the semi final. Just like in the previous two years, the exact position of the countries within those halves will be determined by the producers of the show. Both the insignia ceremony and the allocation draw will be presented by Andi Knoll and Kati Bellowitsch – the draw will be broadcast live on ORF and eurovision.tv. About 1700 journalists will be accredited for the event in Vienna. The 39 participating acts will have the chance to present themselves in two press conferences each. In total, there will be about 80 press conferences – Kati Bellowitsch will host half of them. The second press conference host hasn’t been revealed. Traditionally, the official opening ceremony takes place on Sunday before the ESC week in the host city’s town hall. Knoll and Bellowitsch will host the opening programme of the event together and interview the participants as they stride on the red carpet. 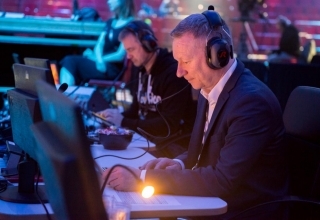 Despite his strong involvement in everything that surrounds Eurovision this year, Andi Knoll will still be the ORF commentator for all three live shows. He has been the Austrian commentator since 1999 with the exception of 2009 and 2010. 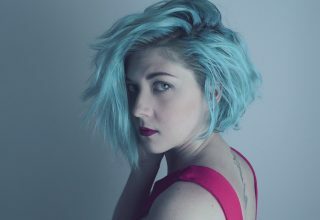 Since their comeback in 2011, Kati Bellowitsch has been announcing the Austrian points during the Eurovision finals. She has been selected as spokesperson for 2015 as well. Whether she will put on her knitted beard again remains to be seen. Next article Cyprus: Euro Challenge Part 2 Tonight! 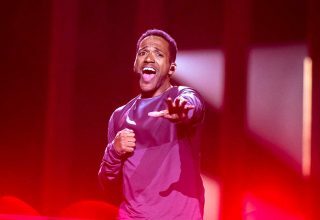 Austria: It’s PAENDA for Eurovision 2019!